The native form of this personal name is szapári, muraszombati és széchy-szigeti gróf Szapáry Gyula. This article uses the Western name order. For other uses, see Szapáry. 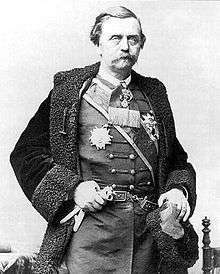 Count Gyula Szapáry de Szapár, Muraszombat et Széchy-Sziget (1 November 1832 – 20 January 1905) was a Hungarian politician who served as Prime Minister of Hungary from 1890 to 1892. Born into a prominent Hungarian noble family and large estate owners. His parents were Count József Szapáry, a royal counselor and Baroness Anna Orczy de Orczi. He was a cousin of Count Frigyes Szapáry, who served as Ambassador at St. Petersburg at the outbreak of World War I.
Szapáry married Countess Karolina Festetics de Tolna (1838–1919). They had seven children (including Lőrinc Szapáry). His great-grandchild is György Szapáry economist, former deputy governor of the Hungarian National Bank and current ambassador to the United States since 2011. He studied law, entered the government service and became Viscount (vicecomes) of Heves County. He spent nine legislative sessions for the Liberal Party as a representative in the Diet of Hungary. He was elected Count (comes) of Heves in 1867. 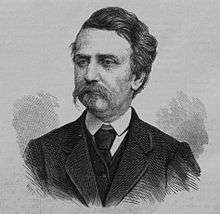 In 1870 he became Secretary to the Transport Ministry, Interior Minister in 1873, finance minister from 1878 to 1887 in the cabinet of Kálmán Tisza, then also Minister for Transport and Minister of Agriculture from 1889. During his tenure as prime minister of Hungary from 13 March 1890 to 17 November 1892 were laws to promote the industrial, social reform and currency reform, switching silver-based Forint to the gold-based Korona, to be carried out by Finance Minister Sándor Wekerle. Szapáry was a less than outstanding, cautious conservative politicians, technocratic, or bureaucrat described, but he was able to rely on experienced ministers, which he had largely taken from the Tisza government. Therefore, his government was essentially also the policy of his predecessor. An administrative and ecclesiastical reform but without success and after the national opposition won the parliamentary elections 1892. Sándor Wekerle succeeded him. Wekerle, Dezső Szilágyi, Gábor Baross and Albin Csáky were all members of his cabinet. The relative success of his government was possible due to the high ministers. Szapáry was appointed Master of the Treasury in 1900. He served as president of the Credit Bank since 1904. ↑ Ágnes Széchenyi (ed. ): Móric Kornfeld: Reflections of twentieth century Hungary. A Hungarian magnate's view. Verlag Boulder, New York 2007, ISBN 978-0-88033-614-7, S. 70. 1 2 Peter F. Sugar (ed. ): A history of Hungary. Verlag Indiana University Press, Bloomington 1990, ISBN 0-253-20867-X, S. 268f. ↑ Alan Warwick Palmer: Twilight of the Habsburgs. The Life and Times of Emperor Francis Joseph. Atlantic Monthly Press, New York 1997, ISBN 0-87113-665-1, S. 269. ↑ Alice Freifeld: Nationalism and the crowd in liberal Hungary, 1848–1914. Woodrow Wilson Center Press, Washington DC, 2000, ISBN 0-8018-6462-3, S. 263.